Book Reviews and Promotions: The Street or Me, An Inspirational Memoir on Sale 99 cents! The Street or Me, An Inspirational Memoir on Sale 99 cents! 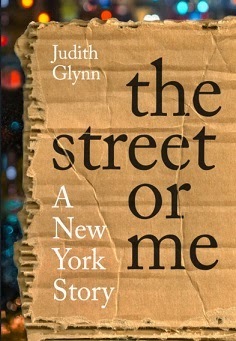 The Street or Me is the true story of Judith Glynn, a divorcee who can barely make ends meet in New York City. She is drawn to befriend Michelle, a homeless drunk in her neighborhood. Previously a beauty queen in Italy, Michelle had come to the states when an American photographer convinced her that fame awaited. Drugs and alcohol got in the way of that dream. Putting her life aside and risking her own safety, Judith is determined to recover Michelle’s dignity and return her to her family in Italy. But is Michelle too far gone, preferring street life and possible death in a gutter over Judith’s guiding light back into society? Present in this inspirational memoir is Judith's personal struggle to overcome her past and change her life. But is she wise to involve her family with Michelle, a woman she's grown to love during their odyssey? All told, nothing is easy in this book. When the story should be ending, it begins all over again. Author and her book seen in Nexos, American Airlines inflight magazine.